This year's Geneva show brought out some of the best the tuning world has to offer. The Geneva Motor Show has always been a showcase for the latest supercars. Last year we saw the debut of the Lamborghini Aventador and now we&apos;re treated to the Ferrari F12berlinetta. Neither of which are exactly lightweights, but there are also several tuned supercars. With cars from McLaren, Lamborghini and others, tuning firms have jumped at the chance to improve them. In no particular order, we&apos;ve created this list of what we think are the show&apos;s best tuned supercars. Brabus Mercedes-Benz Bullit Coupe 800 Oh, where to begin. This is not normal and yet it just feels right. German tuning firm Brabus is known for taking already fantastic cars and giving them an added dose of testosterone that would make Vin Diesel blush. Beginning with the base Mercedes-Benz C 63 AMG coupe, they swapped the standard 6.3-liter V8 with a V12 Biturbo taken from the S-Class that&apos;s been increased from 5.5 to 6.3-liters with the added help of a special crankshaft with longer stroke, larger forged pistons and an increased cylinder bore. Brabus also had to add a stainless-steel high-performance exhaust system in order to reach the desired 800hp. That is correct: 800hp and 811lb-ft of torque. All of that power is sent to the rear wheels via a reinforced seven-speed automatic transmission. The V12 tuned Merc can go from 0 to 62 mph in 3.7 seconds and will take you to 124 mph in only 9.8 seconds. Top speed is more than 230 mph. The interior is covered in black leather with red stitching along with Alcantara, while the exterior once again makes matte black paint look downright sinister. Mansory Lamborghini Aventador Now this is just complete madness (but in a good way). 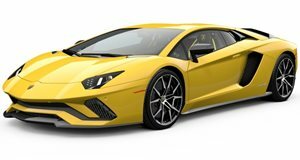 The Swiss tuning firm is the first to reveal a tuning packing for Lamborghini&apos;s latest fighting V12 bull. Mansory hasn&apos;t released full details just yet, but we do know they used a ton of carbon fiber throughout. In addition, they redesigned the front-end, which now includes an apron, wider fenders, a narrower hood, and even a larger lower air intake. There are also new side sills and even a rear diffuser that&apos;s been integrated into the added rear apron. Mansory also gave it a set of ultra-light forged rims with carbon fiber inlays. Interior upgrades include unique leather trim on the seats and steering wheel, non-slip aluminum pedals, and even more carbon fiber pieces. In terms of power and performance, we&apos;ve been told that the 6.5-liter V12 has been given an optimized engine management system and a high performance exhaust. All told, it now produces 754hp and 553lb-ft of torque. It can reportedly hit 62 mph in just 2.8 seconds and has a top speed in excess of 217 mph. TechArt Porsche 911 Tuning companies are wasting no time in getting their hands on the all-new Porsche 911. Among them, German tuning firm TechArt has managed to create something that&apos;s truly special. 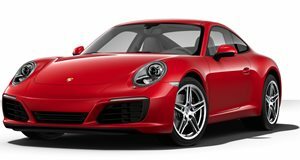 Starting with the new 911 Carrera or Carrera S model, the tuner went about adding such exterior elements like a two-part front spoiler with an integrated splitter. There are also two Aero Wings integrated into the front air inlet vents to give the car a more dynamic shaft outline. Out back, TechArt added a fixed rear spoiler, an integrated third brake light, a rear diffuser, and side skirts. But what immediately caught our attention are those 21-inch 5-spoke light alloy wheels that offer a weight advantage of up to 15 percent compared to the cast wheels. Besides from the racing yellow exterior paint job (also note the yellow trim around the rims), TechArt also gave the interior proper attention by fitting it with black leather and Alcantara. Finished off with bits of carbon fiber and a unique three-spoke sports steering wheel, it&apos;s clear that a tuning firm can truly make a sharp car look even better. Mansory McLaren MP4-12C Like their newly tuned Aventador, Mansory&apos;s modified McLaren MP4-12C is anything but subtle. The Swiss tuning firm has once again shown no shame by designing a body kit for McLaren&apos;s latest that turned heads at Geneva. Specifically, Mansory created a package that includes an ultra-light hood with exposed carbon fiber and other carbon fiber components such as the roof, mirror housing, front and rear aprons, and wings. Painted in a crimson Starfire metallic and combined with gold ten-spoke wheels, the look of the modified exterior looks about as insane as the car&apos;s performance. Speaking of which, Mansory also took their wrenches to the McLaren&apos;s 3.8-liter V8. The upgrades include a high-performance exhaust system, a new engine-management system and a sports air filter. All told, these enhancements result in a power output of 660hp and nearly 500lb-ft of torque. In addition to new leather seats, a redesigned sports steering wheel, aluminum pedals, and plenty of carbon fiber throughout, the interior is also given Mansory&apos;s touch of supercar perfection. Hamann Hawk Mercedes-Benz SLS Roadster Some may be turned off by its &apos;matte-red lacquer&apos; paint job, but the Hamann Hawk Mercedes-Benz SLS Roadster is a true tuned supercar in every way. With its love it or hate it exterior styling, the German tuning firm&apos;s take on Mercedes&apos; latest ultimate roadster clearly has a strong presence. Using up thrust-reducing aerodynamic components, a stainless steel exhaust system, and striking 21-inch metal rims, Hamann has truly created a one-of-a-kind open-top driving experience. But the real beauty lies within. The Hamann engine team enhanced the 6.3-liter V8 engine with various new components that have increased total output to 636hp and 501lb-ft of torque. It can now go from 0 to 62 mph in 3.6 seconds and has a top speed of 199 mph. Specific exterior modifications include new front and rear aprons, LED lights and enlarged air inlets. It has also received a customized interior complete with ultra-suede, leather, and black anodized aluminum pedals. Topping the package off are a few suspension improvements such as a new set of coilovers with four progressively wound springs.